Ultimate Edition owners, early access for Forza Horizon 3 has begun! If you’re one of the lucky folks who have started your Australian adventure, welcome to the party! The game began out on Thursday morning here in the States. Fittingly, Australia (and New Zealand) were the first territories to get their hands on the full version of the game through early access, with other regions rolling in throughout the day and into the night. With the full version of Forza Horizon 3 arriving on Tuesday, September 27, the rest of the world will be arriving in Forza’s version of Australia in just a few days. In the meantime, let’s review a busy week in the Forza world. On Tuesday of this week, reviews for Forza Horizon 3 began appearing around the world. While there are far too many to list in this story, here’s a sampling of some of our favorite reviews this week. With Forza Horizon 3, Turn 10 and Playground Games affirm the series’ status as the driving game for everyone. Microsoft has struck a great balance across what different kinds of racing fans want from the core Forza games and Forza Horizon. If you want excellent track racing, stick with Forza. If you want to have the most fun possible behind the wheel of a pretend car out on the open road, Forza Horizon is a winner, and Horizon 3 is a worthy successor to the series. Forza Horizon 3 is an unstoppable force of adventure and fun. Throughout my hours and hours of gameplay, I explored desserts, beaches, and festive cities, demolished my fair-share of farms, and blasted Beethoven over the speaker system, all with a goofy smile on my face. This isn’t a game to be missed by Xbox One or PC players, regardless if you are new to the genre or a Motorsport pro. Now, if you’ll excuse me, I have to get back to the Outback. Want to chat about Forza Horizon 3 or show off your latest creations for the rest of the Forza community to enjoy? Now you can do so right here at FM.net. 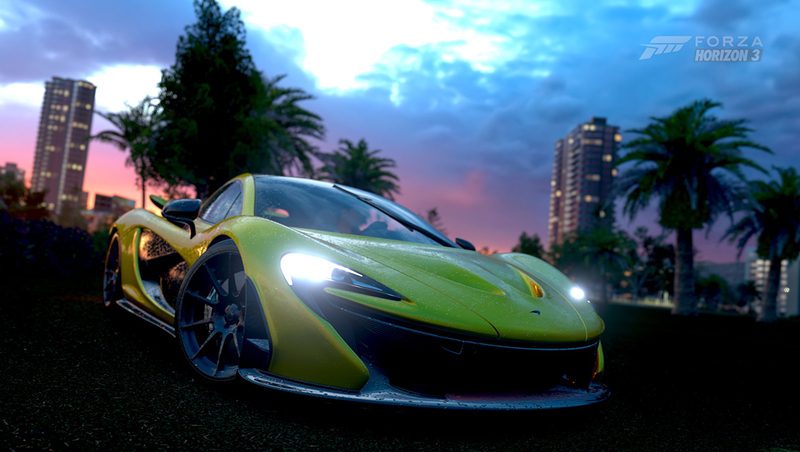 On Thursday we opened up the full slate of Forza Horizon 3 forums. Along with returning favorites like our Forzatography and Livery forums, we’re bringing back the Seller’s Marketplace to celebrate the return of the Auction House. 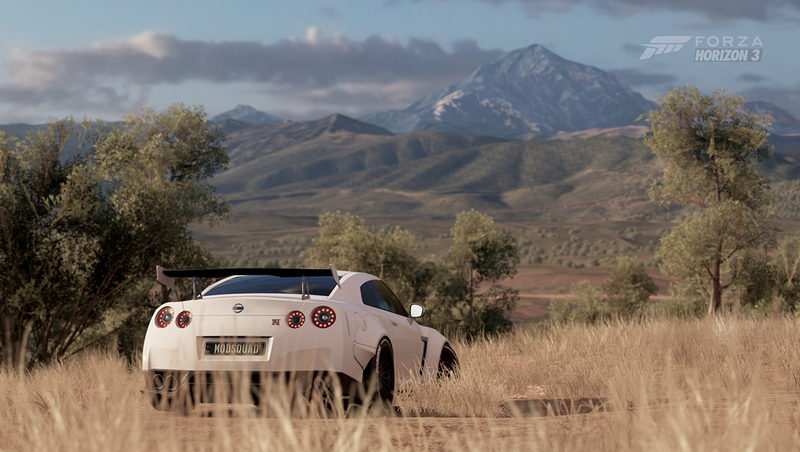 Whether you’re looking for support for the Xbox One or PC versions of the game, or looking for new members to join your Forza Horizon 3 Club, there’s a forum for you so get in there and let’s see what you’ve got! Speaking of Clubs, now’s a great time to point out that the official Forza Horizon 3 Community Club “More Oven” is now available. Looking for a friendly place where you can hang out with your fellow Forza fans… and dominate the Club Leaderboards in the process? Search for “More Oven” in the Club tab to get involved and welcome aboard! Related to the launch of the forums, we’re also keeping careful track of all the issues that the Forza community has been running into since launch. Stay up to date with the latest Known Issues by visiting the thread on the forums. Forza photography fiends, we need your help. Last year, Forza fans came out in force to help us with our project of getting a photograph of every single car in Forza Motorsport 6. Now we’re looking for the same thing in Forza Horizon 3. Our “All Cars” project is designed to help fill out the Cars section of Forza Horizon 3 section here on the Web site and our goal is to have an individual photo for every car in the game. Players who are interested in participating are free to take their photo on either Xbox One or on Windows 10 PC. You’ll get credit on the Cars page for your contribution and our undying devotion for helping make FM.net a better place to be. Details and sign-ups are available now – just head to the thread on the forums and follow the instructions noted. I can’t wait to see what you all create! As Microsoft’s first Xbox One S game to feature High Dynamic Range (HDR), Forza Horizon 3 takes full advantage of HDR’s expanded contrast ratio and color accuracy. 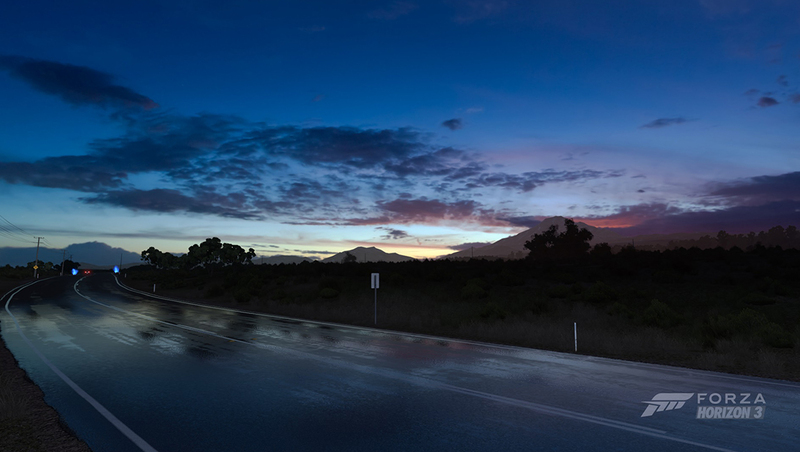 With HDR, our physics-based rendering system ForzaTech becomes even more accurate, bringing lifelike, natural and fine details to life like never before. Players experience vibrant light and sunbeams from an authentic Australian sky, precision highlighting on carbon fiber, glistening sand, detailed dirt and vegetation, and more. If you thought Forza games were already gorgeous, check out Forza Horizon 3 in HDR on Xbox One S.
To experience Forza Horizon 3 in HDR on Xbox One S, please make sure you have the right set up. This post will walk you through “Xbox One S: 4K, HDR and what you need to know” and provide tips and guidance before you play. 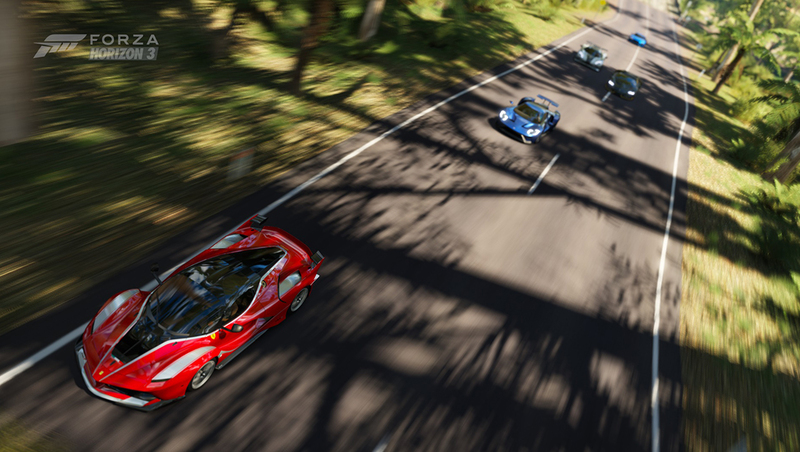 You’ll need a 4K TV that supports HDR - If your 4K TV is set up correctly, it should automatically play HDR content—you don’t have to change anything on your Xbox One S.
On Thursday we also unveiled the Expansion Pass for Forza Horizon 3 which is available for $34.99. The pass includes two expansions with the first being released this holiday and Ultimate Edition owners will receive a discount of $10 on the Expansion Pass if purchased before the end of 2016. Look for more details on the Expansions coming to Forza Horizon 3 in the future. While we’re reveling in the euphoria of launching a brand-new Forza game, I do have an important update regarding the original Forza Horizon. On October 20, the original Forza Horizon for Xbox 360 will reach “End of Life” status. That means that the game and its associated DLC will no longer be available for purchase. Players who own Forza Horizon before that date will still be able to download and play the game and its associated content as normal. After that date, however, Forza Horizon and its associated DLC will no longer be for sale. Unfortunately we won’t have an edition of #ForzaFriday today. That’s the bad news. The good news is that we’re swapping #ForzaFriday this week for a sure-to-be epic Saturday show that is tied to our launch party in Los Angeles. Check out the official Forza Twitch channel beginning at 4 p.m. Pacific for our special three-hour livestream of Forza Horizon 3. We’ll be playing the game with early access players and welcoming special guests, including the star of Gymkhana NINE – Ken Block – as well. It’s all part of our launch party happening for Forza Horizon 3, and broadcasting live from the Petersen Museum in Los Angeles. Check out all the details over at Xbox Wire and don’t miss this one-of-a-kind celebration of Forza Horizon 3. See you next week for the full release!